For complete information about using palettes, tools, and the application features, you can use online Help. 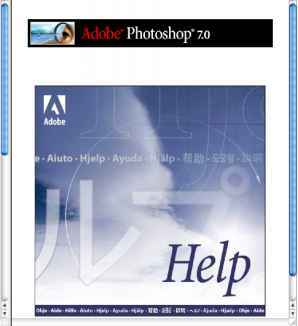 Photoshop Help includes all the same topics and information as in the printed Adobe Photoshop 7.0 User Guide. Adobe Photoshop and Adobe ImageReady each include complete documentation in online Help, plus keyboard shortcuts, full-color galleries of examples, and more detailed information about some procedures. • Scanning a table of contents. • Jumping from topic to topic using related topic links. First you'll try looking for a topic using the Contents screen. 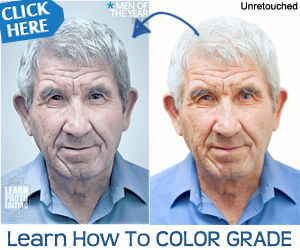 1 Display online Help, choose Help > Photoshop Help (Photoshop) or Help > ImageReady Help (ImageReady). Note: In Windows, you can also open Photoshop Help by pressing F1. Your browser opens. 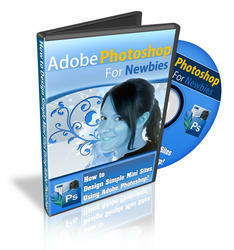 The topics for the Photoshop 7.0 online Help system appear in the left frame of your browser window. 2 In the left frame of the Help window, scroll down to skim through the Help contents. The contents are organized in a hierarchy of topics, just like the chapters of a book. 3 Near the top of the list of topics in the left pane, click Looking at the Work Area. The "Looking at the Work Area" Help topic appears in the right pane. 4 In the right pane, click Using the toolbox to open that topic. 5 Near the bottom of the "Using the toolbox" topic, click Toolbox overview (1 of 3) to open that topic. An illustration of various tools appears with brief descriptions of each tool. The online Help topics are interactive. You can click any text link to jump to another topic. Whenever you move the mouse pointer over a link or a hotspot, the mouse pointer changes to a pointing-finger icon (f>).